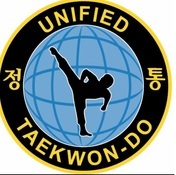 Private Session’s in Martial arts self defence ‘gift vouchers’ for that special person, these are great idea’s for everyone from a novice to the experienced martial artist. The voucher/s can be used for a variety of ideas and have a guaranteed enjoyment, with safe learning and modern training method. 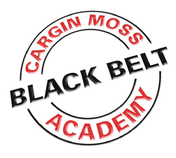 Private Sessions are coached and instructed by Master Cargin Moss a seventh degree Master in Tae kwon-do, who has numerous professional qualifications which has assisted him in his program setting and coaching performance. What ever your needs, thoughts and what you want out of your time with us we can set a unique training program for you whether it is a one off or ongoing training. Being new to the martial arts is an everyday thing however there is no better or quicker way to learn the basics and feel more comfortable with the art and your performance of it. For that special lady who would like to feel more comfortable out and about, whether it is a passive defence against the early signs of confrontations or the ‘bash and dash’ techniques we are famous for. There is no better way to improve your health and fitness than an individual training program set and enhanced with your own level and ability taken into account. Sessions are available for members, their families and non members to the academy.